In 2006 we financed a new roof over the original school building. Below you can see the roof we need to replace on the extension and kitchen. We will use metal rafters like the ones you can see further down in the picture of the room divider. 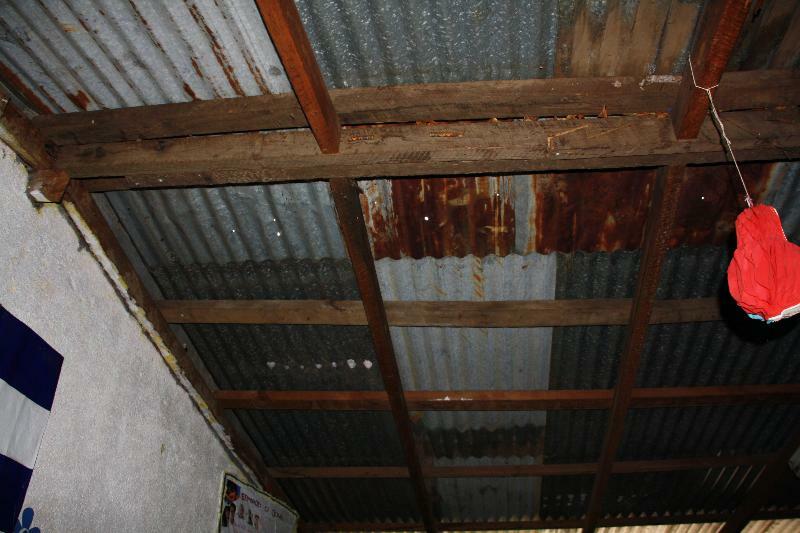 We have sent £1225 to finance the new metal roof, re-paint the walls and replace the electrical system. Hopefully it will all be finished before the new school year starts in February. (Update - All finished on budget!). The school had only 2 toilets for 195 children. 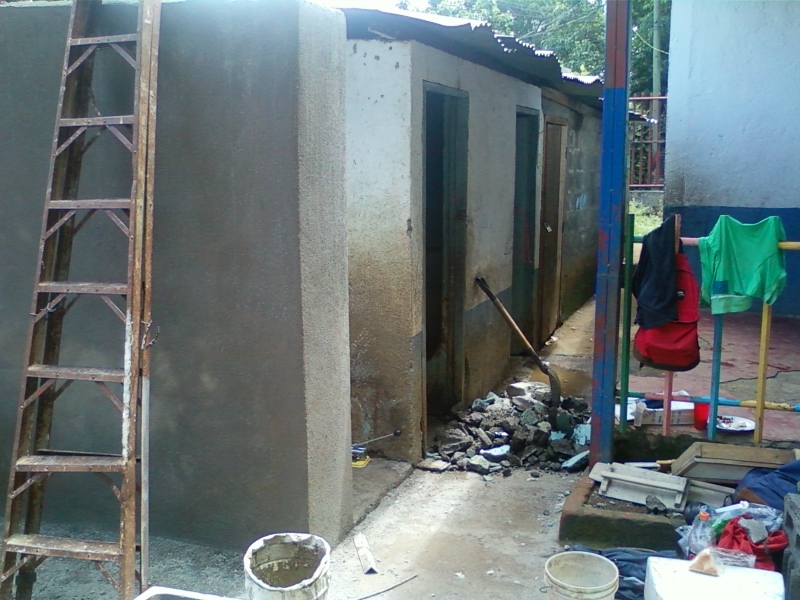 IMFA funded the building of a new toilet block which houses 2 more toilets and an extension to the old toilets, making 5 in total. All the work was finished on time. What a relief! 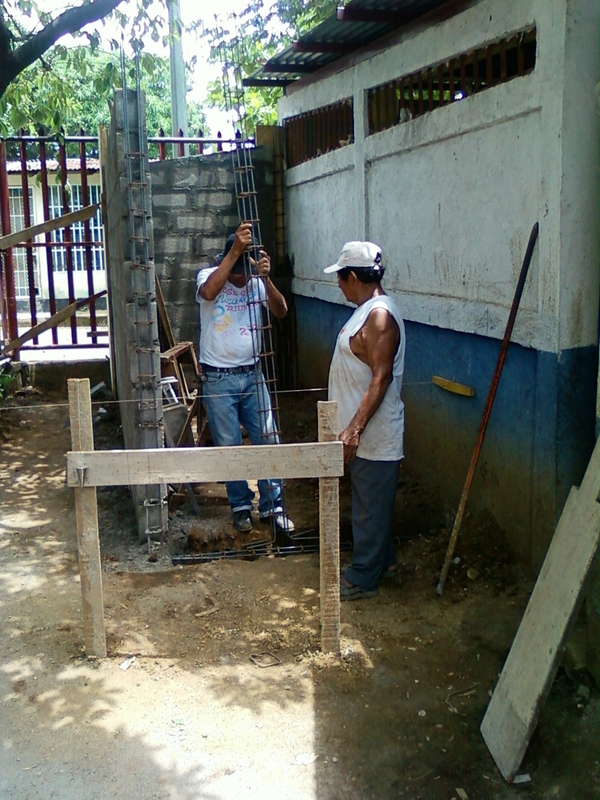 In March IMFA sent £1000 to Managua for new projects. Painting the entire perimeter fence was a massive job. 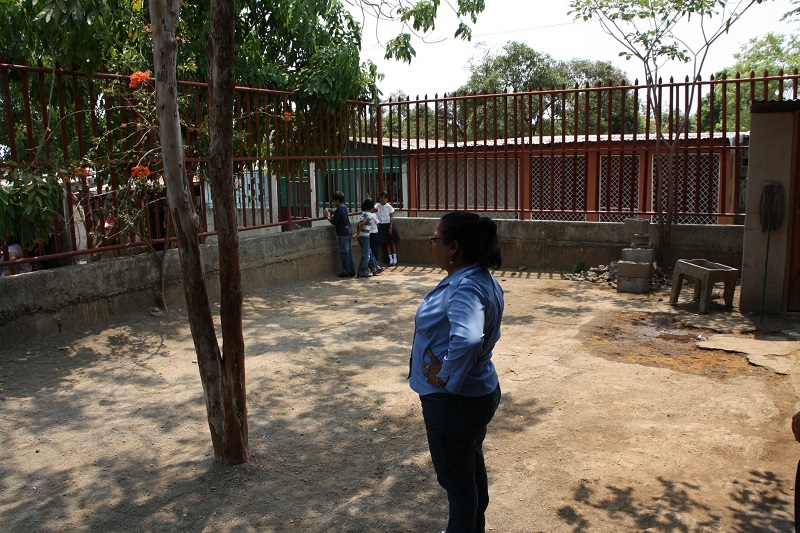 We also rendered the walls, put a metal sign above the gate, replaced the older doors and bought new tables for the teachers. Yes, your money goes a long way! 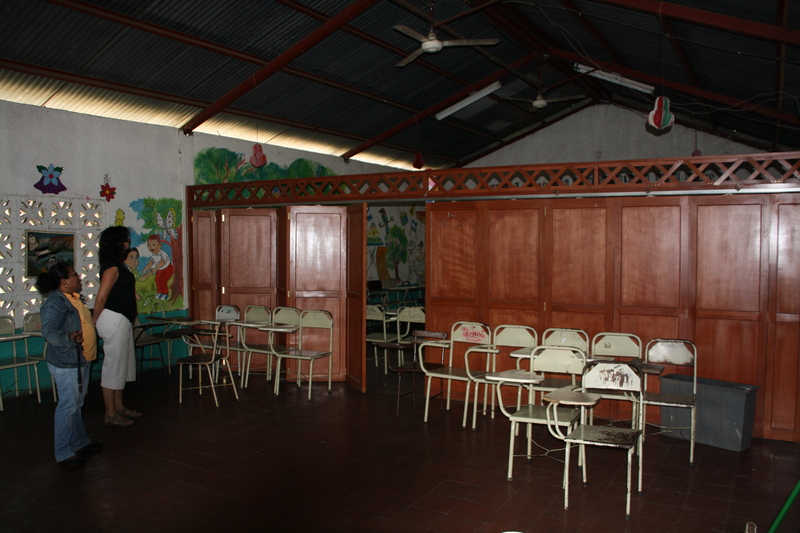 In 2011 we funded the construction of a retractable wooden classroom divider to reduce the distraction of having two classes in one space. Computers! But it is not quite that simple. 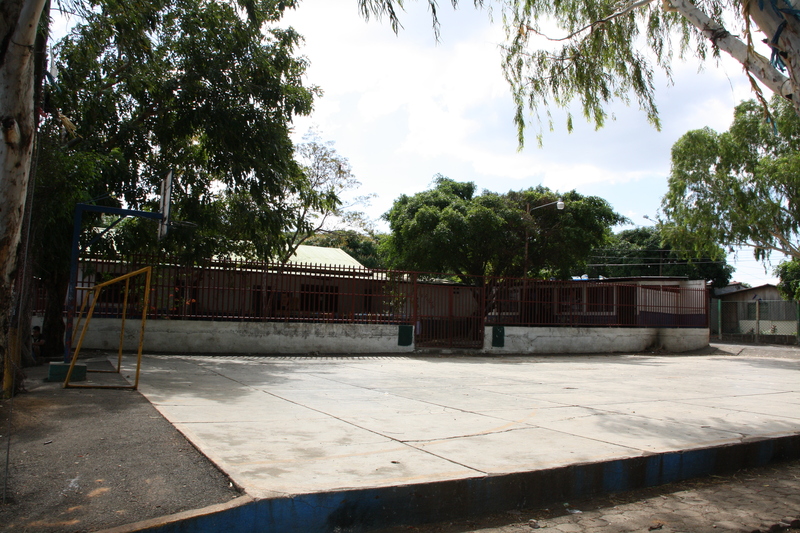 First we need a new, secure building which will also house an office for the teachers and a library. Then we'll need to buy the computers, train the teachers and provide an internet connection. 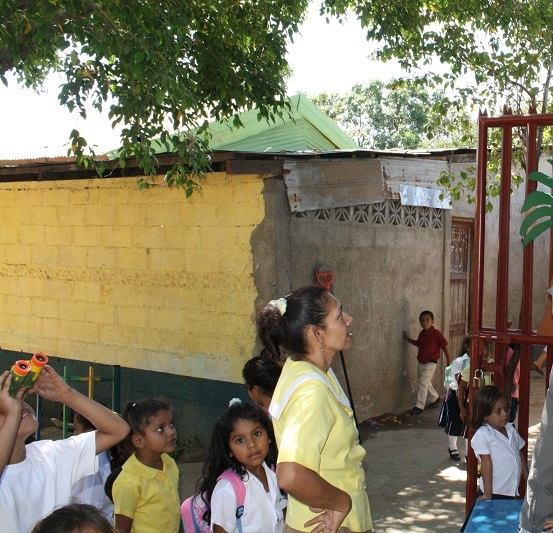 Only the larger schools in Nicaragua have any computers at all so it will be a real bonus for kids from such a poor barrio. We don't have the resources to finance a project of this size in a single year but we hope to make a start on the buildings in 2014. See News for the latest on this project.